Cat-themed items for Thanksgiving & fall: figurines, table accessories, pillows, jewelry, clothing, etc. Splat the Cat and the Pumpkin Picking PlanJoin Splat on a fun fall adventure! Of course, cats are patriotic! And we have an assortment of patriotic cat-themed items for the 4th of July, Memorial Day, Veterans' Day, or any time you feel like celebrating America. Patriotic Flag Kitten T-shirtShow your patriotic spirit! Hanukah gifts and decorations with a cat theme: figurines, jewelry, etc. Old Maid Cat Lady Gift CardThe perfect gift for any old maid cat lady! Cat-themed Christmas items to brighten your home for the holidays: pillows, rugs, ornaments, door hangers and all other things to help you have a "Meowy" Christmas! Judaica with a cat theme: collectible figurines, jewelry, gifts, etc. Birthday items with a cat theme: gifts, decor, figurines, jewelry, clothing, etc. Adorable Animal Marching Band Birthday Cards, Set of 6Inside: Strike up the band for a tip-top birthday! Birthday Cats Small Gift Enclosure Cards16 cards, 8 each of 2 designs, by artist Gemma Correll! Cat With Pipe Birthday Cards, Set of 6With a cool retro design! Cats Talking 4th Birthday Cards, Set of 6Inside Greeting: These silly Kittens have lost their Mittens (and they were almost new). So now you're four, just look around, and help to find them do! Four Mitts to find -- two of them Red -- the other two are Blue! I Could Pee on This: 16 Notecards and EnvelopesFour designs to cover different occasions! Kitten Wearing Sign Birthday Card, Set of 6Inside: And Many Happy Returns of the Day! Kittens in Garden Birthday Cards, Set of 6Inside Greeting: Have a wonderful Happy Birthday! Confirmation & First Communion Items with a Cat Theme: collectible figurines, jewelry, mementos, gifts, Bibles, etc. 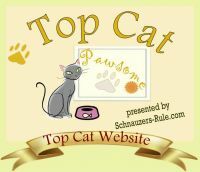 Graduation gifts & items for cat lovers: collectibles, figurines, jewelry, gifts, etc. Destiny Graduate Cat Figurine with MarkerComes with marker for you to “purr-sonalize” it! Wedding items with a cat theme: collectible figurines, cake toppers, jewelry, gifts, etc. Wedded Bliss Cat FigurinePurr-sonlize this gift yourself! Thanksgiving & FallGranted, there aren't a lot of Thanksgiving items with cats on them, but if they exist and we can find a supplier for them, you'll find them here! Cat decor items in fall colors, platters, salt & pepper shakers, figurines, & other items to make your fall and Thanksgiving purr-fect! ChristmasCat-themed decorations from pillows and rugs to figurines, ornaments and other items to ensure that you have a "Meowy" Christmas! Summertime & Summer HolidaysSummertime livin' is easy with cat-themed items from OldMaidCatLady.com! From Memorial Day and Father's Day to July 4, all the way through 'til Labor Day, we have the cat-themed items to make your summer cat-errific! Year-Round Special OccasionsFor all your birthdays, anniversaries, graduations, weddings, bar or bat mitzvahs, confirmations, christenings, etc. we have the cat-themed gifts you need!